Looking for a certified wrought iron contractor to get the job done? 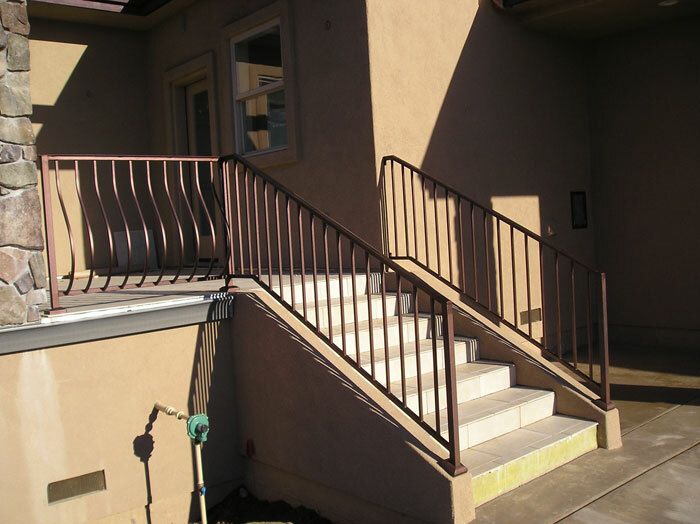 Look no further than Iron Contractors of San Diego. Iron Contractors of San Diego has the experience and certifications to get the job done, on time and in an affordable manner. We pride ourselves on our extensive traning and certifications our entire team has undergone to serve you un parralled service.Being one of the top rated wrought iron fabrication experts in San Diego, Iron Contractractors will design, fabricate, and powder coat any type of wrought iron porject you have in mind. Our certified team of contractors can produce any style and design of wrought iron gates, wrought iron railings, wrought iron fence designs you can image. Below is a list of our services. On each page you will find more detailed information on each catagory of wrought iron work. From the simplest railing to the most intricate, ornate wrought iron driveway gate our attention to detail is never compromised!